ALARIS group members presented a paper at the 2014 IEEE/ASME International Conference on Advanced Intelligent Mechatronics (AIM 2014) which was held on July 8-11, 2014 in Besançon, France. The AIM 2014 conference brought together an international community of experts to discuss the state-of-the-art, new research results, perspectives of future developments, and innovative applications relevant to mechatronics, robotics, control, automation, and related areas. 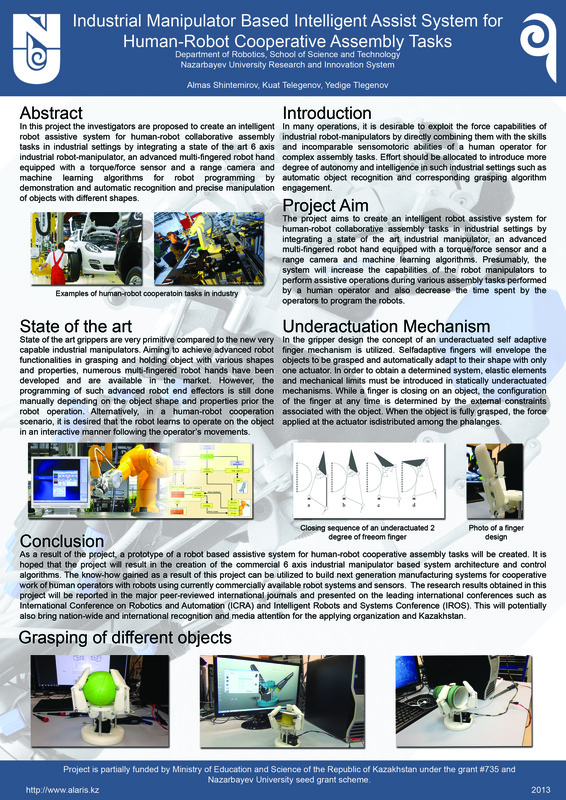 The paper presented work on a 3D printed prototype of spherical parallel manipulator (SPM). The demo of related work can be found in the link below.